When you need to decide on what furniture to add on the outdoor area of your home, you can be initially swayed with just the aesthetic appeal of the furniture. This can apply whether it’s for your outdoor living or dining area. You must strike the balance with choosing a sleek, compatible set that is also weather-proof as these living or dining sets will be exposed to the harsh elements of nature. 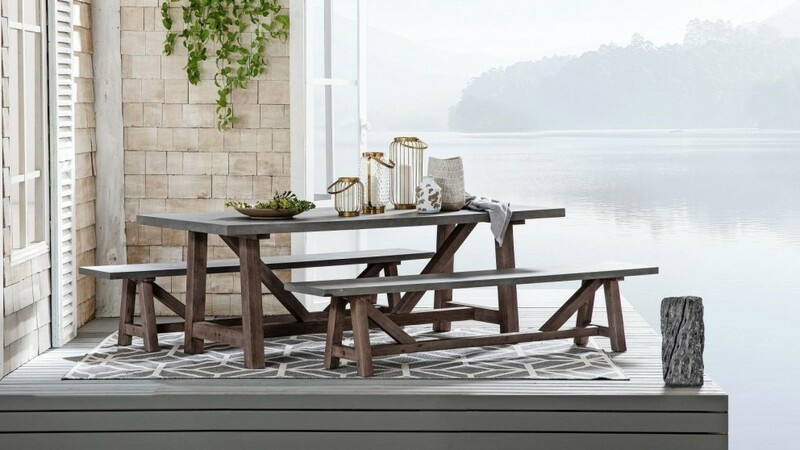 Picnic-style tables made of lighter weight wood is usually a staple in outdoor dining. The length of both the table and the long benches can accommodate more people and gives flexibility in choosing your menu because of its open and casual concept. Wood naturally inhabits the natural elements, so rain or shine, this outdoor dining can definitely sustain it. It is also fairly easy to maintain and clean, but for longevity, spray it with wood protector so it does not easily rot away. Outdoor tables such as this Estrella outdoor dining set is a suitable option. It gives a picnic grove – perfect for when you have your reunions or special family events. If you prefer a more traditional design, you can opt for an outdoor dining set that is sturdy in material and is easy to wipe clean. It may be a bit heavier than wood but it lasts longer. To make it more sustainable, you can protect the set also with a furniture cover or spray it with metal protector. 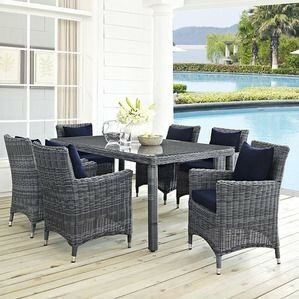 You can add cushions to it as well to make it more comfortable, like this Wayfair outdoor dining set. This reminds of garden dining you only watch in period dramas. You know, that ones that happen in Versailles or in a Jane Austen novel. This is definitely going to add a level of poshness to your home. Outdoor dining sets made of wicker rattan is all the rave in modern style furniture because of its versatile look and feel. The solid choice of neutral colours for this type of furniture makes it blend well with any house them or coloured walls. It is also ideal for outdoors because of its natural material and all-weather fabrics. Clean-up is a breeze as well. 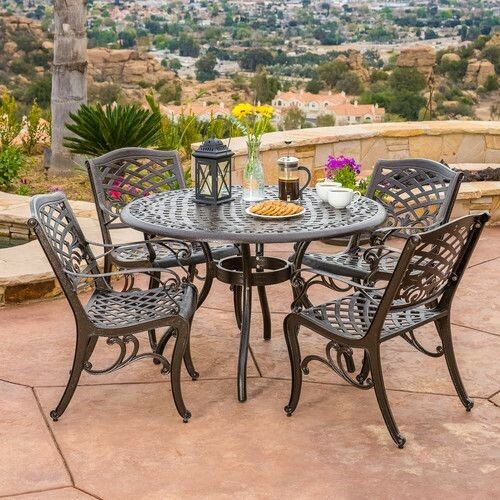 Domayne offers a great deal on this outdoor dining set. If you want a dining set that is casual and relaxed, this is the best choice for you. It is like summer in the countryside, just soaking in the heat of the sun while everyone in the family’s comfortably chowing on afternoon treats. So depending on the kind of vibe you want for your outdoor dining, you may choose any one of these styles. All it takes is the right furniture to create the perfect outdoor dining experience.